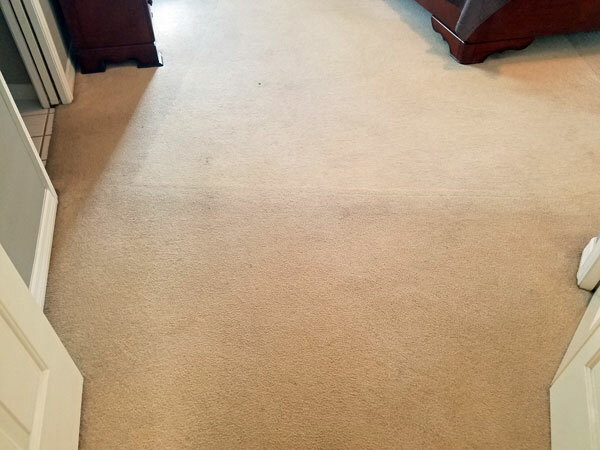 Here are the before and after pictures of a carpet stain removal in Tampa FL. In the first picture there is a clear outline where a wool rug used to cover the carpet in my customer's bedroom. The rug was on the carpet for many years leaving a clear imprint from where it used to lay. The home owner was debating on whether to put the rug back in the room after the cleaning. I told him I would do my best to remove the stains from around the outside of the rug and see if feather in the harsh line left behind by the rug. After some heavy scrubbing and a stain removal treatment I was able to remove the staining and soften the delineation line from the rugs edge. You have to look real hard to see the line in the after picture. It's barely there but the home owner was thrilled. He walked back into the room and said "hold on... hold on... hold on... what happened here." he was shocked at the after cleaning results. I asked him if everything was alright and he said "Yes.. I'm just shocked." He didn't expect the stain removal treatment to be as effective as it was. In Tampa FL we run into carpet stains on a daily basis. 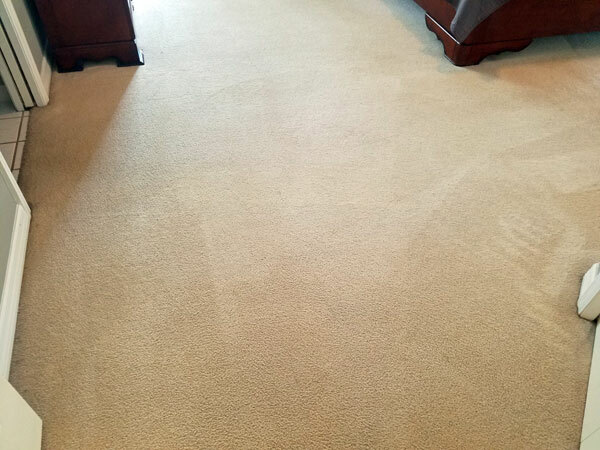 Carpet stain removal can be tricky and the results are not always perfect, but there is a good chance we can improve the situation greatly. For stain removal in Tampa FL call Chem-Dry of Tampa.